Our Funarena! : Brutal Pakistan Attack On Indian Soldiers Inside Indian Territory! Brutal Pakistan Attack On Indian Soldiers Inside Indian Territory! Last few days we had been talking about revival of India-Pakistan bilateral cricket relations and expressed hope for a positive chapter of amiable relations between the two neighboring countries. But unfortunately today we are again jerked back into the usual sticky atmosphere of suspicion, distrust and denial. Why and how the same sore comes up again and again is the question that never gets answered. Cricket or not cricket. Taking advantage of the dense fog and mist a group of Pakistan troops infiltrated hundred meters into Indian Territory across the Line of Control (LOC) in the Mendhar sector and ambushed an Indian patrol party. The attackers brutally killed two Indian soldiers and injured one. The marauders reportedly beheaded the two soldiers and carried one head back into their country. This is a blatant violation of the LOC and ceasefire regulations. The brutal act cannot be accepted in any form of military confrontation. We strongly condemn this act and Pakistan must answer. The cycle of the eternal denial must be broken now and once for all. The Government of India has termed this brutal attack as ‘provocative action’ and condemned it. The Government has vowed to “take up the incident with Pakistan Government and expected Islamabad to honor the ceasefire agreement strictly”. 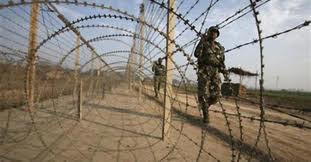 This Pakistan action follows the firing of mortar shells towards Indian Army posts across the LOC on January 6—the day the cricket teams of both the countries were meeting in the India capital Delhi for the third one day international match.